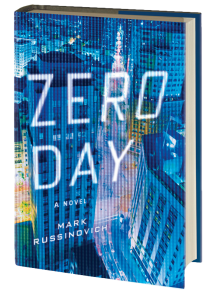 Just finished reading “Zero Day” by Mark E. Russinovich. The author is a fellow at Microsoft and well know in the computer circles for also being the author of various tools from SysInternals a company he used to own. 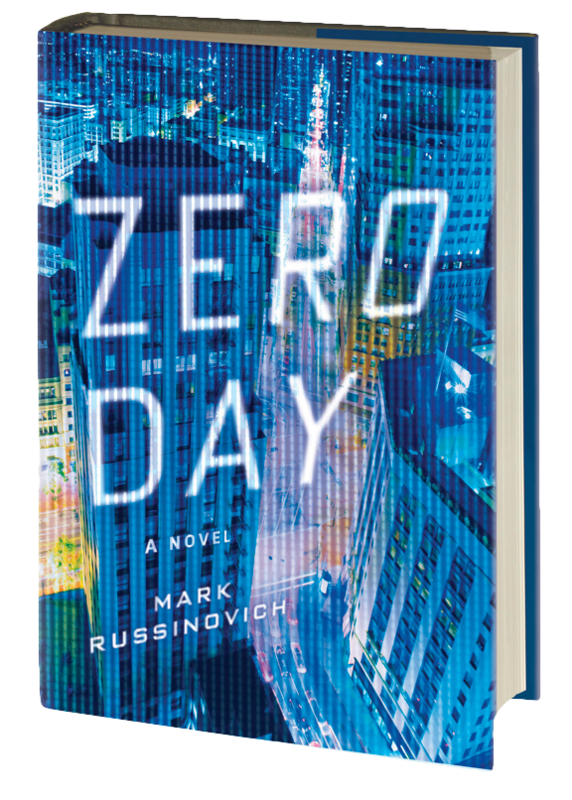 The book is about cyber-terrorist and without giving too much away its quite a interesting read. Well this is what google says in their corporate philosophy but I seriously doubting this. If you are not aware of the most recent cuffle about google, let explain and perhaps rant a little. Google; in an attempt to prevent the spread of the gpl-2 license from the linux kernel on the android platform to user’s application decided to clean the kernel headers of it so it can be used in the bionic libc. My understanding of the gpl-2 license is that once you have applied the license to your code, you are free to change it, include it and attribute your changes but the gpl-2 remains, so I can not see how they can clean the code of the license when the license itself prohibits it. Cleaning up the linux headers files does not seem such a big deal at first especially given the linux chaps have the own sanitised version themselves but it really does open it a huge whole in the open source arena. If you can remove the gpl-2 from the linux headers which contain macro’s aka inline code then why can’t you do the same for other gpl-2 software and release it or use it anyway you wish. After all if google can do it without doing any evil… why can’t anyone else do the same? Is this the end of gpl-2 or just the start of new legal battle with the do no evil company being covered the brown stuff. What can a company do with a 1 Billion USD? Well if you are Microsoft you can use this or more to ensure one of your competitors becomes a OEM vendor! This is exactly what is said Microsoft did to influence Nokia to use their mobile offerings… Which at first seems a bit of amazing turn around for Nokia given the amount of effort it has put into Symbian but I guess cash is king! Good luck Nokia..
Posted in Nokia, Windows Mobile	| Tagged Nokia, Windows Mobile	| Comments Off on One Billion Reasons..
Over the last couple of years I have not been getting on too well with my second generation iPod Touch but it has been a bit of a love hate relationship… I love it when works well with my mac’s at home but find it a real pain on Windows, it works but it feels like I’m forcing it to work… even the sound feel damp and uninspiring.. Anyway, I thought it time was to try something different out, so I had a look around and decided to pick up the Cowon J3. So what do I think about it, well I had an interesting first day experience… I managed to brick… yes… completely brick it… even for me this was a first! I used to have an old creative labs mp3 player and this used Microsoft’s MTP protocol and so did the new shinney J3… so I downloaded and built libmtp and started to play around with the protocol to see if I could automatically create some playlist… well that was my intention… a couple of hours later the cowon froze up on me and pressed the reset switch and the reset button… and the rest has gone down in brick laying history.. Using the guide at iaudiophile.net I manager to get the right tools and the firmware to try and repair it myself. Using the tools above, I managed to install a new firmware but it still crashed with “checking albums” on startup.. so I decided to place the firmware on the micro sd card and I found it booted off this…. wow I thought its not completely bricked… Then I was able to mount the drive… re-format it as fat and then I re-installed the firmware… this time it worked! Anyway, as you can imagine after this first day experience I really was not too impressed with myself, libmtp or the cowon. Nows, its a couple of weeks later… I now have started to like my lovely cowon… at first I thought the user interface was childish but it has grown on me.. it simpy works when I need it to work.. however the nicest surprise is that I now love my music again but I have left libmtp alone! As someone has been working with Windows Azure since its early days I understand how much effort it takes to get started with the platform. Luckily over the last couple of Windows Azure SDK releases the documentation is started to do justice to the platform itself. My day job keeps me housed in Visual Studio 2010/Windows, so for my out of hours development I feel I need a change, so for many years I have been a home mac and/or linux user; anyway I have used many languages over the years but I feel more comfortable using C#, so my development environment of choice is monodevelop. So last week I started to playing with it…. its fun… and I think its going to be fun ride using Mono, C# and Android. With phone such as my nexus one and the recently announced Droid Bionic (2GHz dual-core processor, 512mb) it really means that we can start to put some quite computational intensive applications on these devices, plus having access to a quick database such as sqlite makes life easier… now what should I do with it? Michael Burgun over at his own blog space has started blogging about using Visual COBOL… Its worth a look as having meet Michael last year I can honestly say he is a very knowledgeable and experienced chap, so I am sure he will impart some of his own wisdom..
and today’s article, Getting started. Although I have good results tweaking my DNS it appears it can have its side affects if you have a very fast internet connection and are doing some serious streaming… have a read of the following quoted article. If I ever get a fast home connection then I will be aware of this… until that day…or just incase santa lays some fiber optic cables.. The experience of one Mac developer with his new Apple TV box, offers a reminder to the tech-savvy “power user” that Google DNS and OpenDNS may take a serious toll on performance video streaming. On his blog, Joe Maller wrote that he had a fast Internet connection (15 – 20 Mbps), and so he was shocked when his Apple TV reported that it would be several hours before he could start watching his HD video. The culprit in his case was Google DNS. It appears that Google DNS and OpenDNS don’t mix well with the way that distributed video is served up. This can be Apple TV or YouTube. Ironically, people feel that they’re doing the right thing by switching over to OpenDNS or Google DNS. In this case, it appears to be the wrong choice. Maller points out, that in this case, it is the “tech-vanguard” that will take the hit here. Most non-savvy users will simply hook into their ISP’s DNS. After switching from Google DNS, Maller said his Apple TV rentals were ready in less than 30 seconds. AzureKit is a nice piece of source code released on CodePlex by Mark Rendle. The AzureKit makes life much easier for creating, searching, deleting elements in your Azure’s Table Storage. My idea was that if the AzureKit was easy enough to use, then it could give us a nice way of accessing Azure’s table storage without to hosted in Azure itself. Given, this idea I recently spend a bit of time exploring the APIs and how they could be used from COBOL and to be honest it was a pleasure to use, so thank you Mark for the good work. For anyone not familar with Azure Table Storage, it is a structured storage that uses tables.. sounds obvious. It does not have a SQL interface, so it is marked as a NoSQL storage mechanism. The normal Azure Table Storage APIs are fine but reasonably complicated… perhaps too complicated for most people to use. The APIs Mark has put together really does make life easier. The AzureKit provides you with an IDictionary, IEnumerable and IQueryable style interface which for anyone familar with .Net this API style will feel very natural to them, so I think it gives you a nice programming model. 01 movie type IDictionary[string, object]. set type Azure::Account to "mystorageaccount"
set type Azure::SharedKey to "myverylargesharedkey.........."
set movie::Item("Director") to "Joseph Sargent"
set movie::Item("Rating") to "Worst Movie Ever!" set movie::Item("Director") to "George Lucas"
set movie::Item("Rating") to "Best Movie Ever!" display movie::Item("PartitionKey") " -> "
That’s pretty easy… now what shall I do with the APIs… answers on the comment strip! DNS speed can really affect your home router either for the better or worse.. I use a open source bit of software called namebench to periodically verify that I am using the most performant/reliable DNS server.